The firm, which has offices in Sydney, Auckland and Singapore, is up against UK and US legal biggies in the category, including Clifford Chance, CMS Cameron McKenna, Herbert Smith Freehills, Latham & Watkins and Linklaters. Webb Henderson partner Malcolm Webb told Australasian Lawyer that being a finalist in the awards is significant considering they take place outside of the firm’s home markets of Australia and New Zealand. Outside of its domestic markets, Webb Henderson specialises predominantly in technology, media & telecommunications, and it’s been involved in a number of significant and high profile cases. But it’s not just abroad where Webb Henderson is proving a success story. The firm is also a finalist in major awards closer to home, appearing in four categories of Australasian Lawyer's sister publication NZ Lawyer's Law Awards, which will be held on November 6 at Auckland’s Pullman Hotel. Webb says because the firm has a different focus in the Australasian market, to be nominated at home as well is extra special and a confirmation that it’s doing an all-round good job. “In Australia we've got good litigation capacity...we do a lot of work for ACCC. 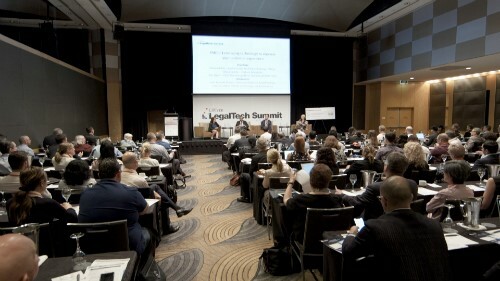 In Australia [we focus on] competition law, telecommunications technology, media and litigation,” he says.